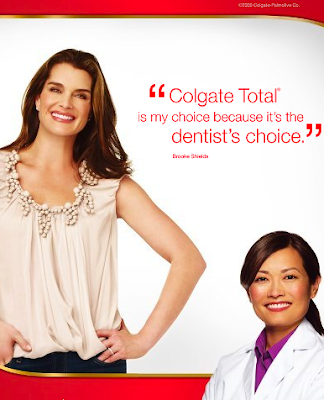 Why She’s a Babe: When we first saw this Colgate commercial featuring Brooke Shields and Dr. Joyce Fang, we were sure Dr. Fang was an actor playing a dentist, with that shiny hair, honey-colored skin, and, of course, those straight white teeth. But, as it turns out, Dr. Fang’s the real deal. And how weird-slash-adorbs is it that she’s a dentist and her name’s “Fang”?! That makes us want to book an appointment with her right now–for 2:30, naturally.